Many consumer goods these days are designed to work straight from the box. It can make us reluctant to read manuals, assuming we can work it out on the fly. This is often a good quick approach, but not always the case with bike maintenance, where small errors can have big effects. At the weekend, my Quark Elsa started giving exaggerated power meter readings. I’ve had for two years, and although it has died twice (and Quark sent replacement). It has been pretty consistent in power meter reading, which is main thing for a power meter. So higher power and calibration errors was disconcerting. I realised it may have been affected by switch from double chainring to single chainring set up. I looked up Quark Power meter calibration and found advice that after change of chain rings, you may need to recalibrate 4-5 times. This proved correct, after 4 attempts at calibration, it finally calibrated correctly. It was tempting to give up after two or three attempts, but reading manual encouraged me to try and again. Simple solution. After the second breakage of a bolt in the Speed Concept Aerobars at the weekend, I’ve tried investigating different solutions. Thanks to reader Steve Davie, who suggested buying stronger bolts. I found some Titanium bolts on ebay, which hopefully will be stronger. It may sound obvious to buy stronger bolts, but it never occurred to me. Also, I had suggestions from Colin Lynch who was in velodrome just before me on Friday for Aerocoaching. I’m not sure what they mean by set screw, perhaps the small little thing. The other thing is it is important to use a torque wrench to get the exact torque setting. I do have one I bought a few months ago, so will use. Ti bolts don’t always mean stronger. 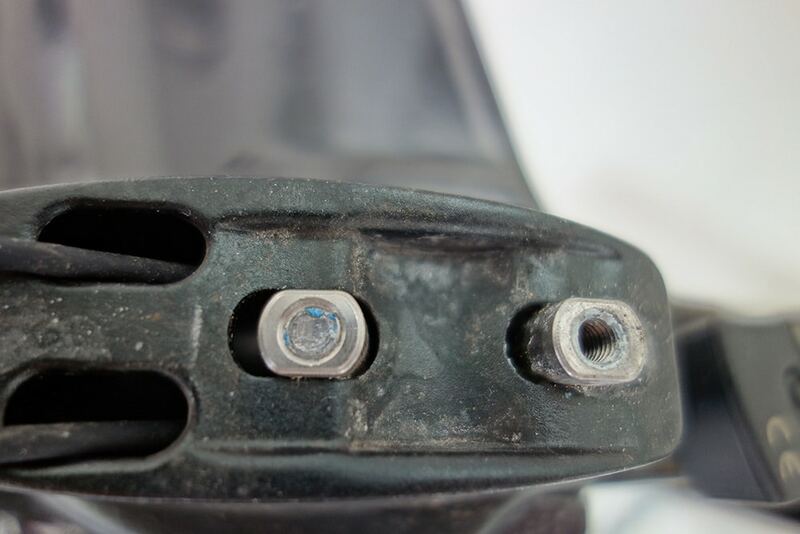 Depending on source and grade, those Ti bolts could be weaker than what you had. I’m sure you already have validated grade and are fine, but just in case I figured I say something. I’d hate to see you stranded from home again. I am led to believe that quality steel tends to be better than titanium in terms of strength for a given volume. Therefore quality steel screws are likely to be stronger than titanium.